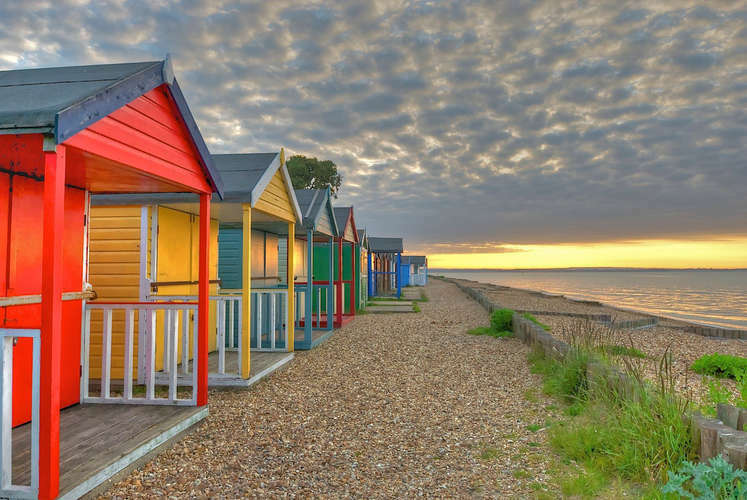 The beach huts look out over Christchurch Bay East, to the Western point of the Isle of Wight and the Needles, and west to Mudeford and Christchurch. 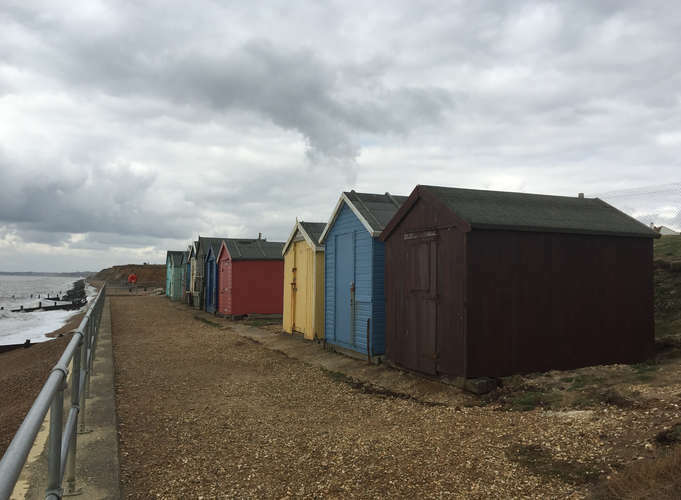 The huts are of wooden construction mainly with pitched roofs, though some are flat roofed pairs, in mainly a single row under the clay cliffs above the shingle beach. 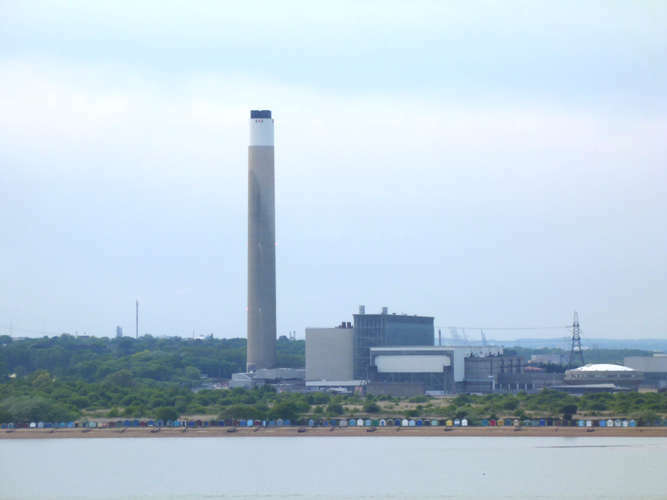 The area , known for fossil finds and good sea water quality, is subject to erosion and land slip, although currently (2016) thought to be relatively stable . The huts are individually owned, but sit on concrete bases provided by the New Forest District Council to whom owners pay an annual licence fee. Access is from Marine Drive, where there are 3 paying Car Parks as well as on road parking and there are paths from the cliff top leading to the beach. The main path running down beside the Beachcomber Cafe ( near the Pebble Beach restaurant) with restricted vehicle access, descends to the start of the area with huts, where there is also a toilet block and primitive shower and water tap. 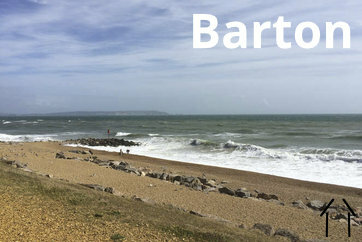 The bay and beach tend to be quiet with some hang gliding and kites from the cliff top, dog walking and children's play on the beach and cliff top abutting Barton Golf links . 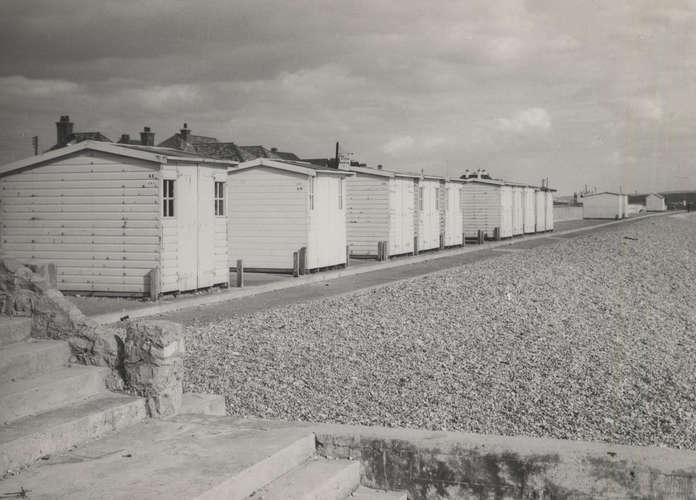 There are just under 200 beach huts on NFDC land at Calshot and also approximately 80 residential huts at the western end of the beach on land belonging to the Cadland Estate. 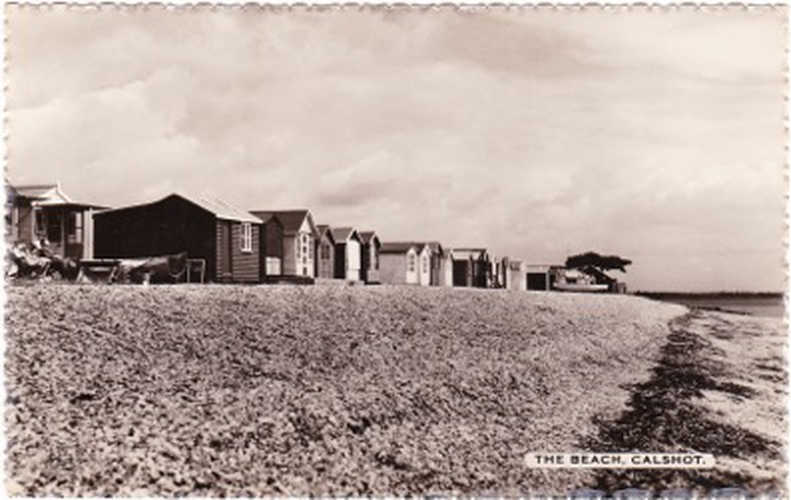 The huts are situated on the pebble beach, although at low tide there is a little sand to be enjoyed. 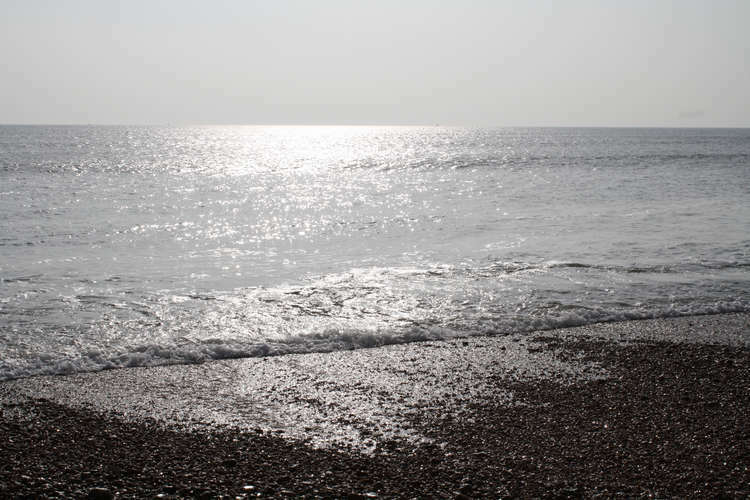 Also at low tide shingle bars and shallow lagoons are visible to the east of the Spit, ideal for supervised children to explore the exposed sea bed. On the other side of the spit is an extensive salt marsh which is home to a wealth of birds and other wildlife. 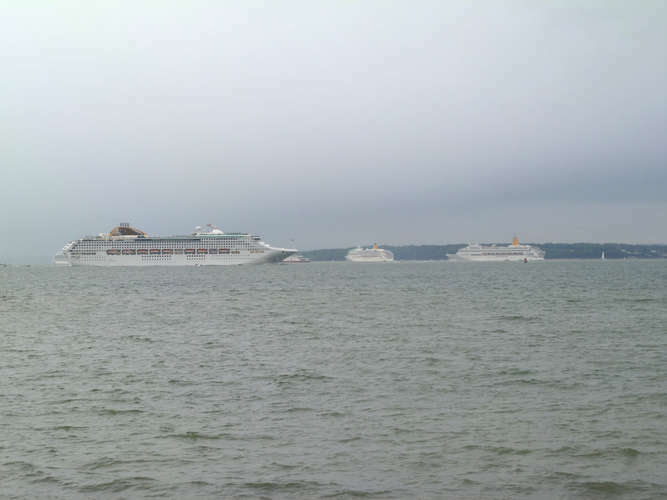 Calshot Beach is a great vantage point to see cruise liners and commercial shipping entering and leaving Southampton Water. 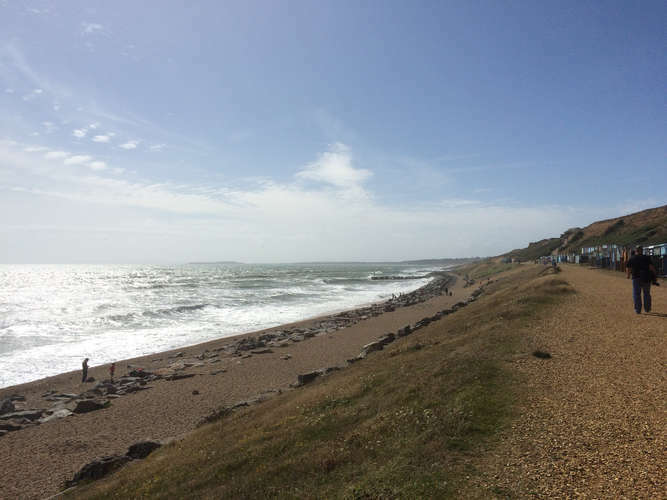 The beach is at the southerly end of the A326, approximately 14 miles from junction 2 of the M27. If you are using “Sat Nav”, the post code is SO45 1BR. 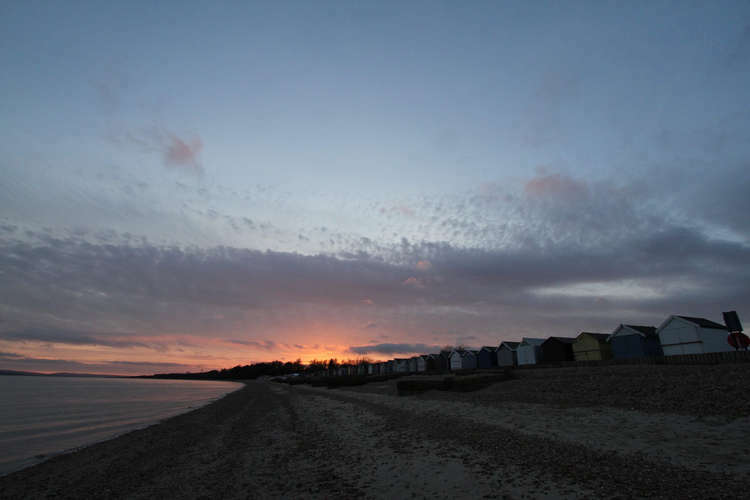 There are two NFDC Amenity Car Parks - Hillhead Car Park which is at the entrance to Calshot Spit and Slipway Car Park which is halfway along Jack Maynard Road. 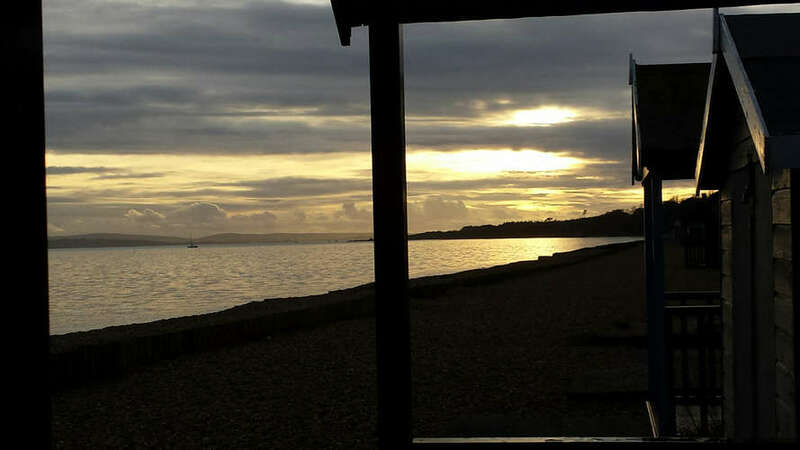 There are disabled bays in both car parks and those in the Slipway Car Park enjoy a direct view of the Solent. 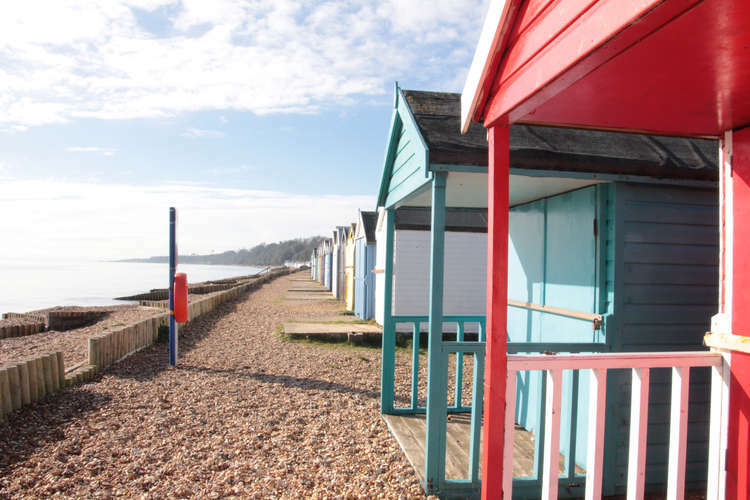 It is also permissible to park behind beach huts but a valid parking ticket, an NFDC District Wide Parking Clock or a disabled parking blue badge (if applicable) must be displayed all year round. 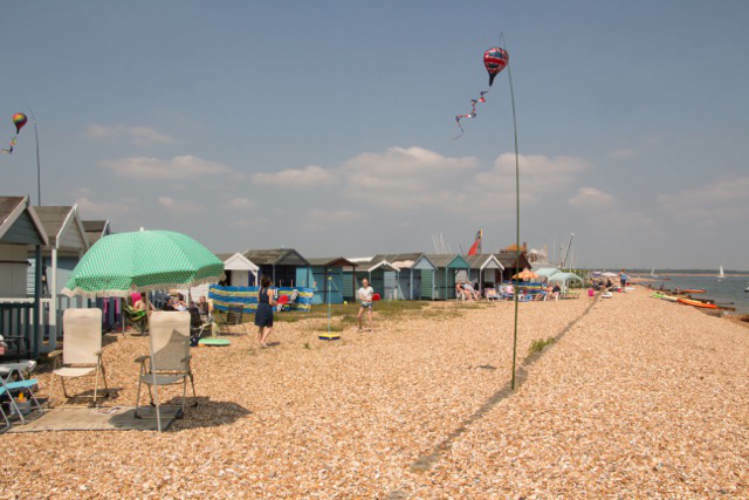 Access to the beach huts is directly from Jack Maynard Road although the ground between the road and huts may be sloped and uneven in places, making disabled access harder. Public toilets, including disabled toilets are situated at both Hillhead and Slipway Car Parks. There are several drinking water taps spread along the length of Jack Maynard Road. The Bluebird Café is on the Cadland Estate (but is easily accessible). It sells hot and cold food, sandwiches, ice-creams, snacks and drinks and is open from Easter, but for weekends only until May, then daily (excluding Mondays) until September. Opening is from 11 a.m. until 4-ish depending on the weather. A mobile ice-cream van can be found on the Slipway Car Park during the summer months. 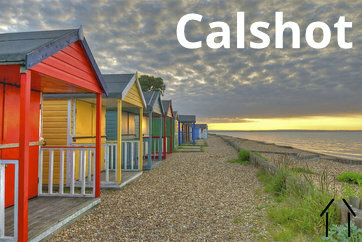 At the eastern end of Jack Maynard Road is Calshot Activities Centre which is administered by Hampshire County Council and a windsurfing shop is also located nearby. Please note that parking at Calshot Activities Centre is not covered by any parking clocks issued by NFDC. The Sunderland Hangar, also at the eastern end of the Spit, has a cycle velodrome, dry ski–slope and climbing walls, together with the Café Bar serving snacks, hot food and drinks. An RNLI station is also on the spit near to Calshot Castle, a fortress built in 1540 during the reign of Henry VIII, originally as a defence for Southampton Water. Calshot Castle is an English Heritage site. 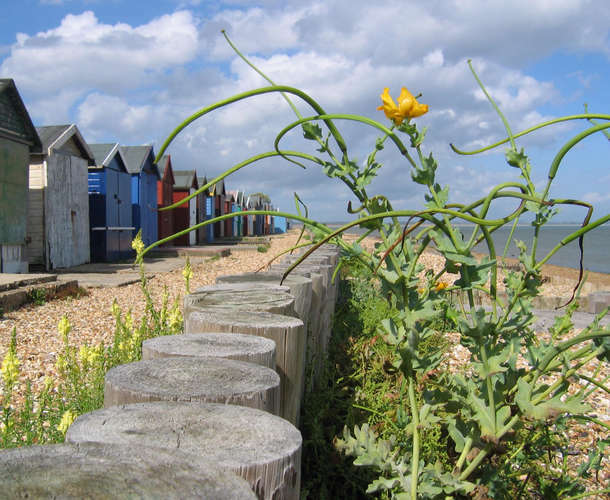 Calshot welcomes responsible dog owners, so please come prepared to pick up after your dog. It is advisable to keep dogs on a long lead. Dog deposits can be put into any of the rubbish bins at Calshot. 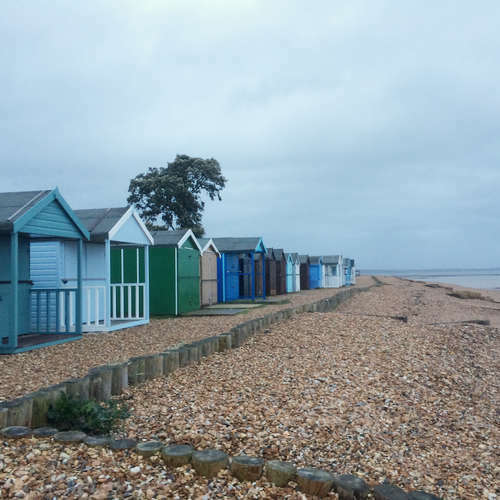 Calshot beach hut owners take pride in keeping the beach clean and there are plenty of blue rubbish bins along Jack Maynard Road. 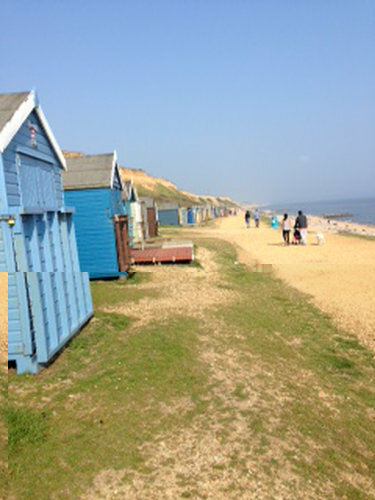 There are over 400 beach huts at Hordle Cliff. 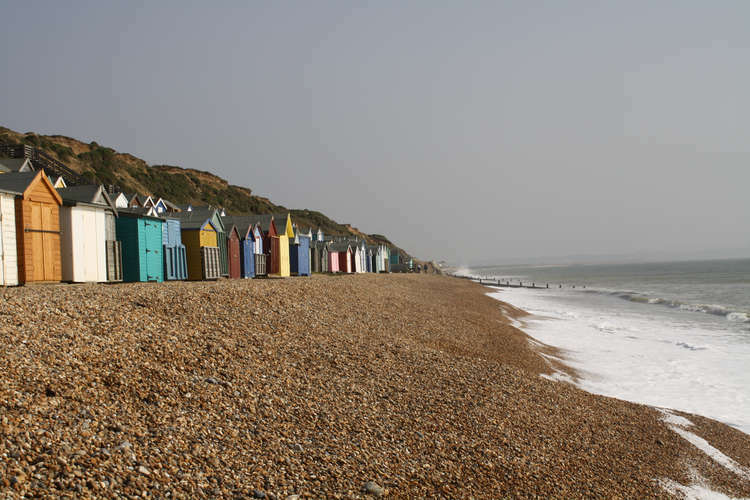 Many of the huts are directly on the beach and others are situated behind these on the cliff. It is a pebble beach, but there is a little sand at low tide and when it is low spring tide the sandbar is visible and makes a pleasant lagoon. 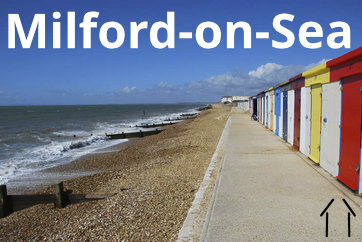 The beach is just over a mile from Milford and about 4 miles from New Milton on the B3058. If you are using “Sat Nav” the post code is SO41 0UX. There are two car parks - Hordle Cliff Car Park and Paddy’s Gap Car Park. Access to the beach is via two sets of steps, each with over 50, but with seats half way down! 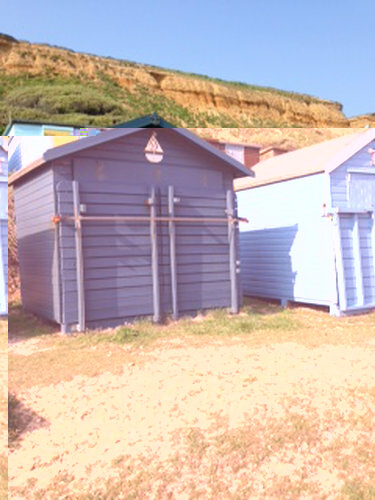 There is also access to the beach huts via a slope from Paddy’s Gap Car Park. 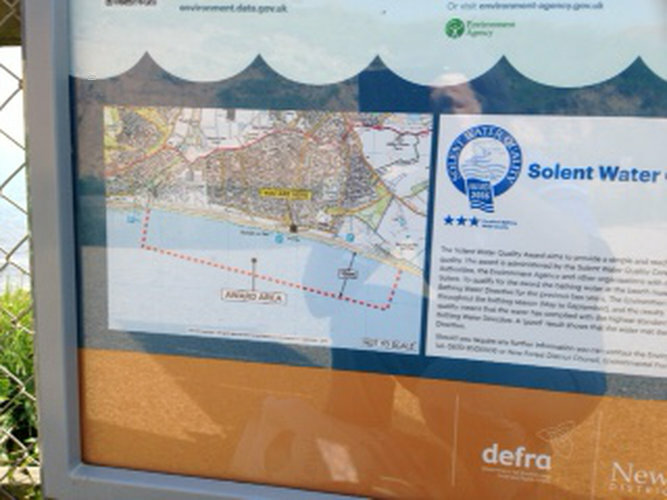 As you can tell from the description there is no recommended disabled access to the beach. 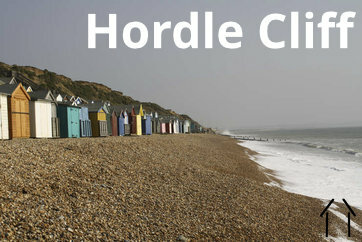 Public toilets are situated at Hordle Cliff Car Park. There is a fresh water shower available at the foot of the steps from Hordle Cliff Car Park and there are several water taps from a stand pipe adjacent to the steps. There is a kiosk selling chips, snacks, locally made ice cream and drinks which is usually open from March to end of October from 11 o’clock until 6 p.m., depending on the weather. The fish and chips are excellent! 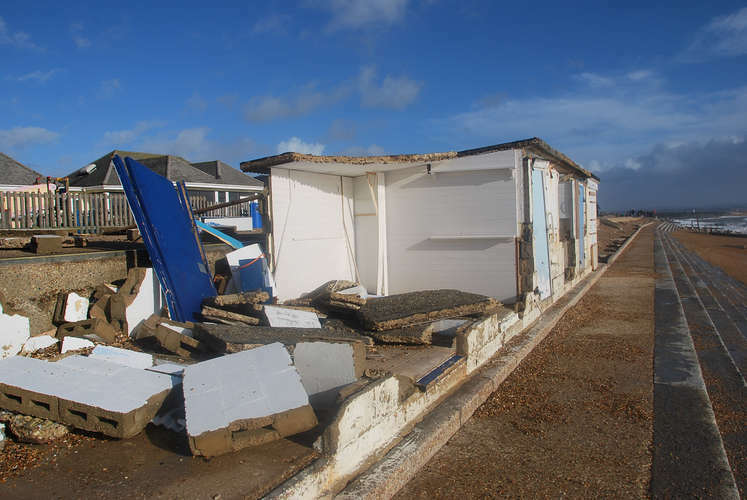 The storms of the 2013/14 winter, and in particular the severe event during mid-February damaged a number of the Milford huts. Those to the west of the White House, 12 in number, all of timber construction and relatively far away from the shore, suffered only superficial damage. 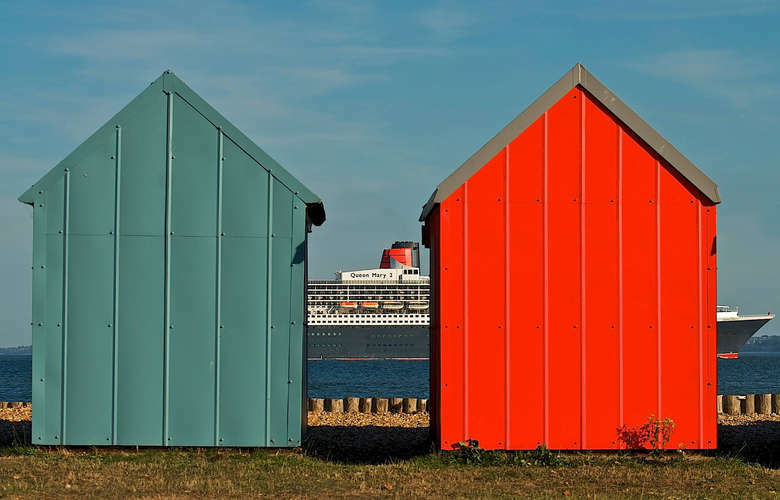 Owners continue to enjoy the use of their huts in this row. To the east of the White House there were 109 concrete huts mostly built in the 1960s, nine of concrete built in the 2007-09 period and one remaining timber hut. 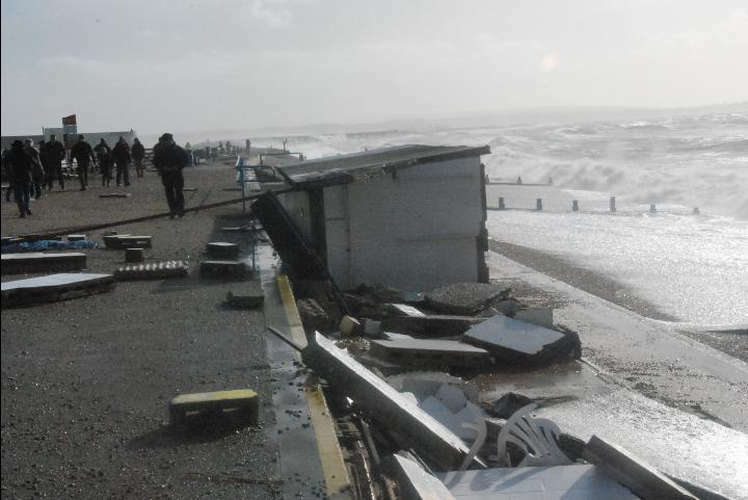 The timber hut was destroyed in January's storm and about 30 of the other concrete huts in February or subsequently demolished by the Council's contractors on safety grounds. In mid-summer 2014 the entire range of huts to the east of the White House remained surrounded by a security fence and their owners banned from access. The Council has identified age related structural deficiencies as well as storm damage in many of these huts and has been trying to find a way forward that will have a reasonable degree of support. 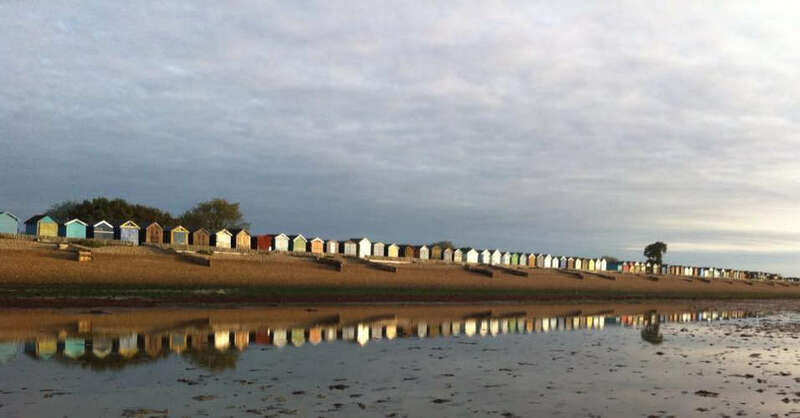 All of the remaining huts were demolished by the Council’s contractors in the summer of 2015 after a promise to owners that they would be replaced. 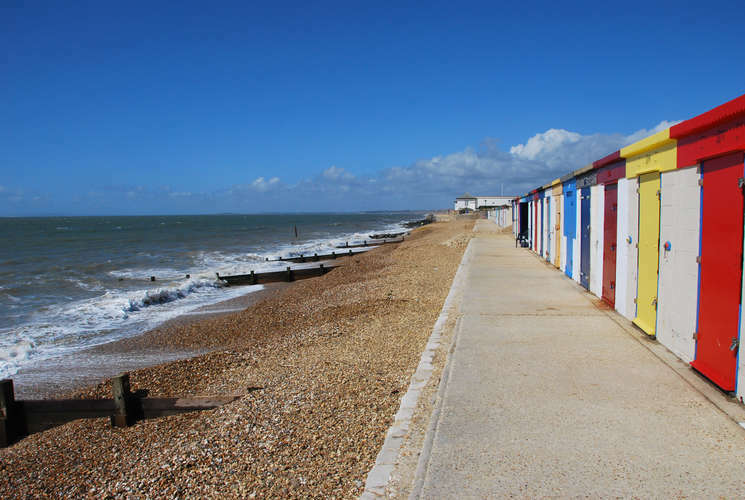 Owners for the most part agreed to a scheme under which they would contribute the cost of repairs or like-for-like replacement costs of their huts and the Council pay the balance since the scheme would include improvements to the sea defences better visual aspects, and enhanced safety and beach access facilities. Work on the replacement concrete huts was completed in May 2017 and on Sunday 3rd September, in spite of very inclement weather we celebrated the rebuilding and opening of the new huts. In British bulldog style everyone carried on regardless... There was a real community spirit and determination to enjoy the event, rain, wind and all. Many thanks are due to those who opened their huts, those who helped from our committee in the lead up and on the day, and those Milford hut owners who took on extra duties. The village butcher's plan no. 3 was excellent, replacing the originally intended hog roast by providing instead delicious and very welcome pork baps and vegetarian paella. Last but by no means least - most particular and very extra special thanks to Milford rep. Colin Holdsworth for organising and arranging everything in advance and galvanising the troops into action. Milford on Sea has two ‘Amenity’ pay-and-display carparks in Hurst Road. The western park is more near to the beach huts. 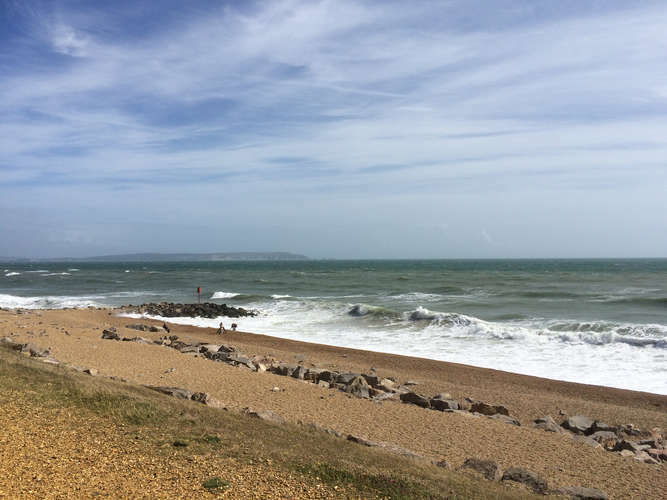 There are public toilets, a seafront cafe – ‘The Needles Eye’ and about 200 yards to its east a modern bistro – ‘Raft Rocks’.